Call For Artists to Participate in Historical Society of Washington’s 2017 For the Record Exhibition | Park View, D.C.
For all the artists in our community, here is an opportunity to showcase your work and our greater community! The Historical Society of Washington, D.C. invites all artists residing in the Washington metropolitan area to enter its 2017 For the Record juried exhibition and fundraiser. All art work meeting exhibition guidelines will be considered. 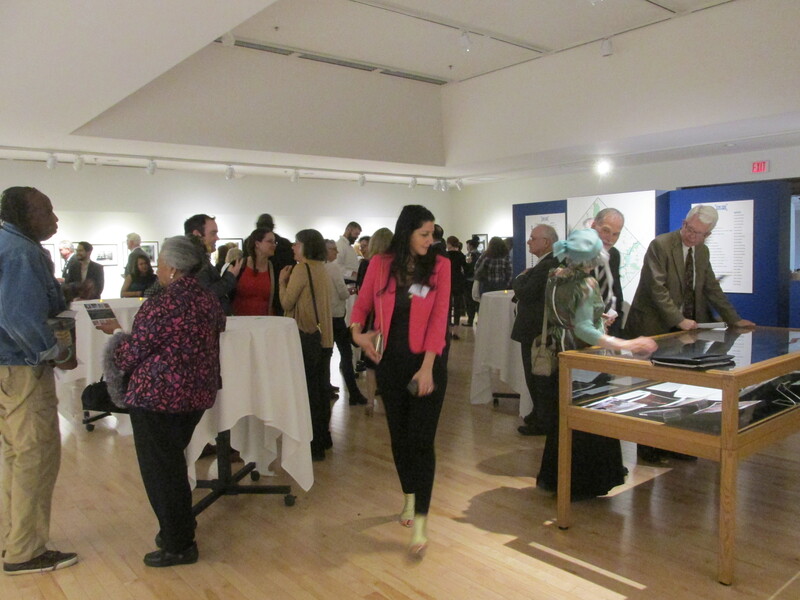 Visitors enjoying themselves at the opening of For the Record exhibition in 2016. Curators from local institutions will serve as jurors for the competition and chose the artworks that will comprise the exhibit. The selected works will be displayed in summer 2017. Up to five works may be chosen by the Collections Committee to become part of the Historical Society’s permanent collection. Cash prizes will be given to the top 3 photographs and top 3 non-photographs; an additional prize will be given to the work deemed Best Overall. New this year, the Best in Ward prize will be given to the artist whose work is chosen as the best piece representing each specific ward. For the Record is open to all artists residing in the metropolitan Washington, D.C. area. Entry is available online starting September 6, 2016 at https://dchistory.submittable.com/submit. Final deadline for entry: May 15, 2017. The Historical Society’s Collections Committee may choose up to five of the donated works for its permanent collection. The remaining submissions chosen for exhibition will be offered for sale in 2017. Proceeds of art sales will be split 50/50 between the Historical Society and the artist. Any works not sold by the end of the exhibition must be picked up by the artist. If the artwork is selected for the permanent collection, artists must agree to donate the original artwork to the Historical Society of Washington, D.C.
Work must be delivered in-person matted and framed or in a manner appropriate to the artwork; must be delivered ready-to-hang with the artist’s donation form attached to the back. *Entry fee is $25 for seniors and students with a valid college ID. All entries must be submitted by 11:59 pm EST, May 15, 2017. The top entries will be selected based on the uploaded digital image by the panel of jurors. The jurors will also decide all award winners. All entrants will be notified via email no later than May 26, 2017. If you do not receive notification by that date, please contact the Historical Society’s Operations Manager, Katrina Ingraham (kingraham(at)dchistory(dot)org). Award winners will be honored at the Opening Reception (date TBD). This entry was posted on January 12, 2017 at 7:01 am and is filed under Art. You can subscribe via RSS 2.0 feed to this post's comments.